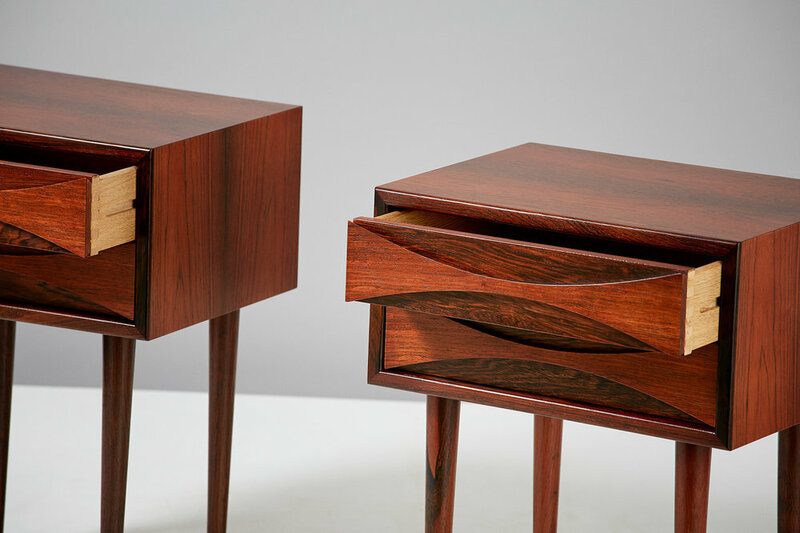 Rosewood cabinets by Niels Clausen for NC Mobler, Odense, Denmark. Produced c1960. 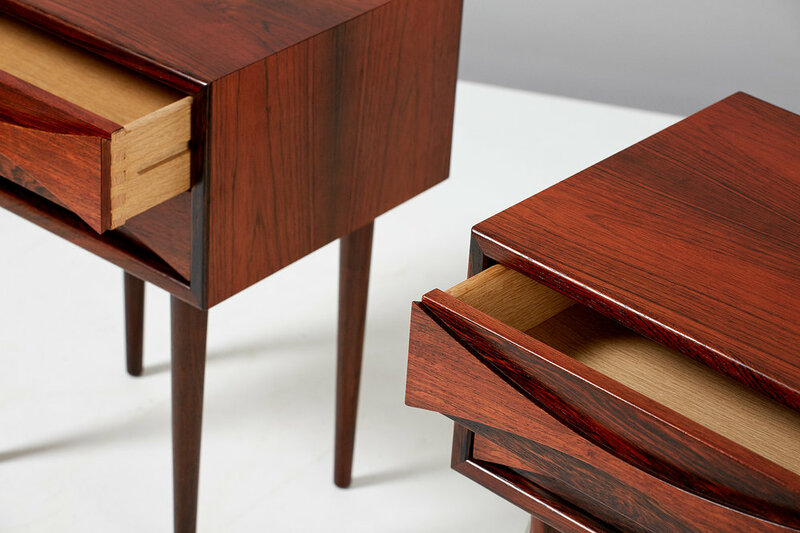 Two drawers per cabinet with scalloped pulls and solid tapered legs. 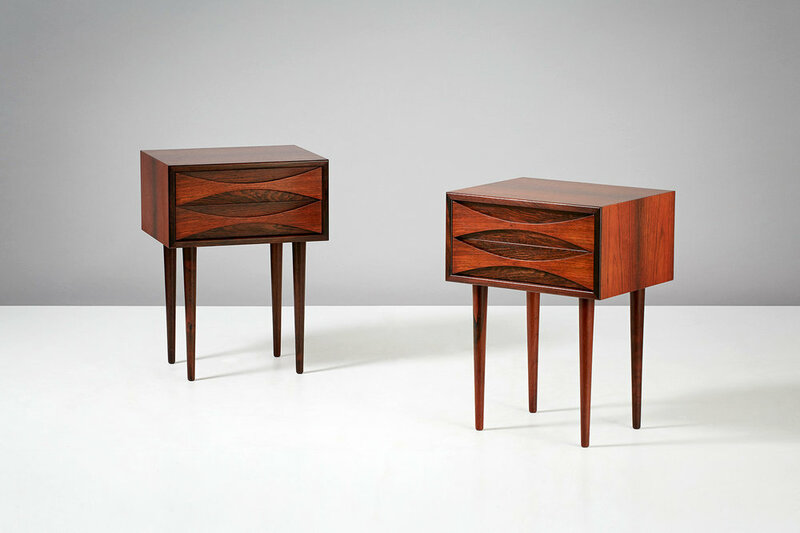 Oak lined drawers and runners.